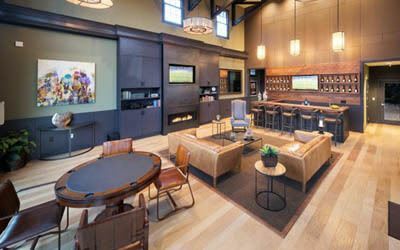 Welcome home to Saratoga Downs at Sheveland Ranch, perfectly located in the heart of Northern California’s crown jewel, Napa Valley. The winemaking capital of the United States, Napa is the perfect place to experience and enjoy life. Luxurious in nature and rich in personality, Saratoga Downs is a beautifully designed community created to appeal to your senses! Charming architectural details and abundant greenery create enchanting surroundings that catch and hold your attention. Tree-lined avenues and pleasant pathways form a pleasing atmosphere where you can truly enjoy your daily exercise or just take a quiet stroll in the evening. Each dwelling structure has uniquely pleasing street appeal; no cookie-cutter living here! 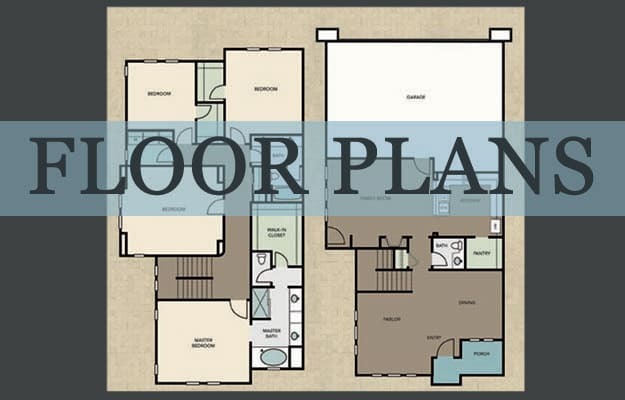 Saratoga Downs offers a wide variety of creative floor plans, with a myriad of options intended to pamper every resident. Ranging from one to four bedrooms, each spacious apartment home is generously proportioned and intended to provide luxury, comfort and convenience. Oversized and walk-in closets expand your already-plentiful living space, and sundecks and patios offer an extension of your home outdoors. Your convenience is further enhanced by the attached garage. Individual apartment homes at Saratoga Downs are layered with lavish appointments. Nine foot ceilings, gourmet kitchens with granite countertops, and marble vanities are just a few of the indulgences awaiting you. Ceiling fans and central cooling enhance your everyday comfort, and phone and cable wiring awaits you in every room. Wood cabinetry, upgraded window treatments, soaking tubs, and tile entryways contribute to the ambiance of your new apartment home. Saratoga Downs’ community amenities are extraordinary! The impressive “glass wall” in the resident community room opens out to the appealing patio and barbecue area where you can gather with friends and neighbors. Kids of every age will enjoy bounding about on the community playground, and you can enrich your active lifestyle with all the options available to you in the on-site fitness center. You just can’t beat that convenience! 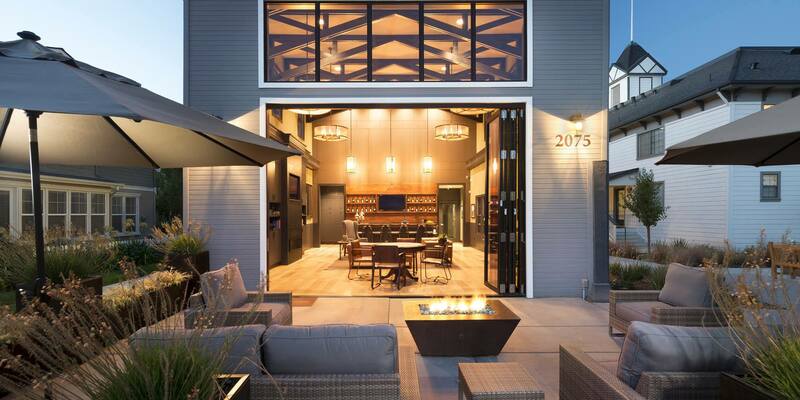 Location is key, and when you live at Saratoga Downs at Sheveland Ranch, all of world-famous Napa Valley is at your feet. 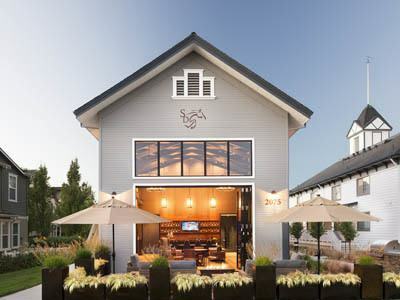 Downtown Napa is only a few minutes away, where you will find lovely tasting rooms from intimate family-owned to internationally famous wineries. Unique shopping experiences include chic boutiques, gift shops with local artisanal products, and elegant art galleries. Bistros, bakeries, and restaurants line the streets, and fine dining is a “who’s who” of famous chefs and their signature Latin American, Italian, and Japanese-Western fusion cuisines. Whether you are enjoying the view from your first hot air balloon ride or taking a scenic ride on the Napa Valley Wine Train, life in Napa is all about exceptional quality. Every effort is made to ensure your happiness and satisfaction when you live at Saratoga Downs at Sheveland Ranch. Professionally managed by Security Properties Residential, we bring you more than forty years of expert property management in luxury communities. Your management team works diligently to maintain your apartment home community, and the level of attention to detail is unsurpassed. Pets are also welcomed at Saratoga Downs; ask a team member for more policy details.